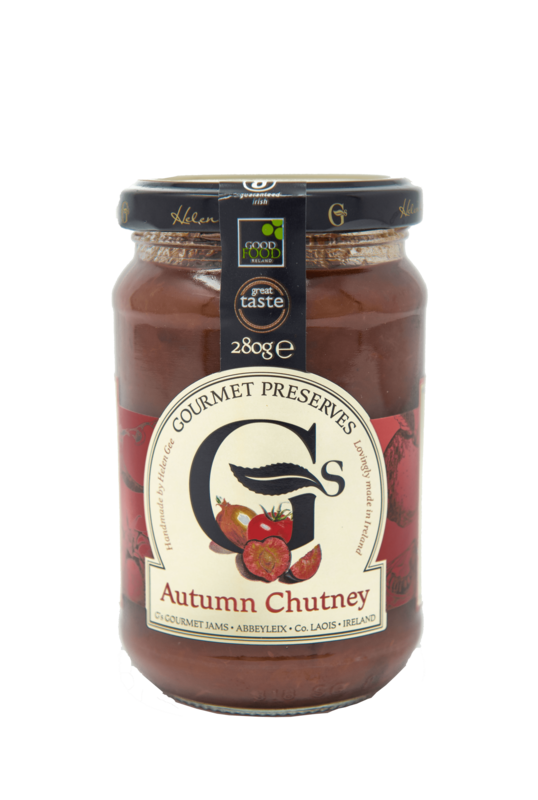 This rich combination of autumn fruits, vegetables and dried fruits blend together wonderfully to form a delicious Autumn Chutney. It is gluten free and contains no artificial colourings, flavourings or additives. It is also suitable for vegetarians. The perfect accompaniment to Indian dishes such as curries and stir-fries, lunches such as cold meat salads and snacks such as cheese platters.